re: think the catalytic converter in the front needs to be replaced. What were the starting elements for this conclusion? Yes there are 2 cats. Leak codes for EVAP system are quite common.....and they come and go for no reason...anyway, check all hoses to the evap can and solenoid valve on right fender and keep fuel fill cap tight. I did not go back to see previous posts...a little bit tedious...but.. I believe this was a RECALL by KIA ..you can check this at www.car.com (think they list that recall there)..
2 connectors go to YOUR COIL PACKS..Kia says C123 and C124 CONNECTORS come loose from engine vibration and make this car stall and run rough..you can wire tie them at both ends..but I taped mine REALLY tight with ELECTRICAL wire so the connectors would NOt come loose again..KIA should replace these for free if you can find the recall info. I think the catalytic converter in the front needs to be replaced. A mechanic in my church will do the work for free, only $200 for the part. Does anyone know, the repair shop told me theres a front catalytic converter and a rear one? ALthough head gaskets failure is not a common issue with that engine, some cases are reported and what you mentioned trigs my caution.....At least, I'd fill the radiator to the rim when cold, leave cap off then run the engine and look for bubbles coming out the rad ..some lost "air" bubbles might escape at first...but if a continuous supply of bubbles come, that means exhaust invasion and a blown head gasket. Also, check for fluctuating temp needle when you run the car on the road, and for continuous heat output form the heater. Random heater output (turns cold, then warm...might be accompanied by borborythms) is sign of blown gasket. Other than that, there is the common issue of front hubs going haywire, but this is easy to solve for 200$ ...a common problem that is not a no-no. Thank you. I will follow your advice & check the head gasket. The selling price will probably be $5000. I will most likely install manual hubs. Got a lot of good info just reading the posts in this forum. You're right....it is fun to drive. My wife even liked driving it & she hasn't driven a manual in 25 yrs. The timing belt was replaced about 1mth ago, when we were trying to figure out the problem. It works well for a a few miles and then starts doing the same thing again. It is like it has a bug, works well then doesn't work well and then doesn't. It was put on the computer and it came up the 02 sensor and throttle position sensor but can't really get a decent reading because of the issue it has. TPS makes sense. THis is not an expensive item and it is easy to change. I would not dismiss that indication. Failed TPS will cause jerk and buck....Pay attention to connectors. O2 will have effect once car it up to temperature..because it is out of the loop when cold. It depends which code: hi or lo O2 readings can be caused by other factors, like failed injectors, as well as O2 sensor and connectors. O2 heater code is a problem with the sensor itself or connectors. I have a 2001 Kia Sportage. I had the car in the shop in January, 2008 (about 35 days ago) and had the wheel hubs, front left axel, and a few other things replaced as the front wheel was making a funny whistling sound. After spending $1700.00 I was driving my car and put the car into 4 Wheel Drive before leaving my driveway. It was the first time I put the 4 Wheel on since picking the car up from the shop. About 3 miles later, the transfer case exploded and cut the transmission line. I would like to know if anyone has every experienced or heard of such a thing. I was told that somehow the 4 wheel drive was jammed which caused such a pressure that the tranfer case exploded. I'd like to know if this "explosion" may have resulted from the repairs that were done in January. I was also told that only a four wheel drive axel can be put on my car, however when I review my bill from January, it states a "A.W. Drive Axel" was put on my car. Does this sound right?? Any information relating to this problem would be great!!! This car cannot physically be fitted with anything else than what duplicates the original. So whatever the labelling, what was installed is not the cause of your problem. THe most ..and, in fact, the only probable cause for overtorquing the transfer case is running on dry pavement with the 4WD engaged. THis 4x4 is labelled "part time 4WD" and MUST NEVER ..never never...be run on asphalt in 4x4 because it has no differential between front and rear drive shafts and any difference in front and rear wheel speed (like when turning) will overstress the transfer case with the eventual result you describe. Sorry that happens after $1700. Look for salvage yards for a replacement T-case...even e-bay, may be,...and come back for further info as you wish. Please also state what type of new hubs were installed as there are special precautions in using the auto-mechanical type for the sake of the hubs themselves (as opposed to the original vacuum type). Now....may be procure more details on the "nature" of the explosion (is the case cracked and oil spliled out) and what do you describe as a "cutting the transmission line". I have a KIA Sportage 2005 4WD. I don't know if the term is correct, but the small orange light just above the headlight and to the right is burned out. This is the light that lights up when going to first click on the headlight switch. I looked in thinking I can change a simple light bulb. WRONG! The area is so packed with stuff that I can't even identify where the connector or housing is for this light. I sure don't want to go to a dealer and spend $40 or more just to replace a light bulb. Hi, thanks so much for the reply. I can assure you that the vehicle was put in four wheel drive during a snow storm. roads were totally snow covered. 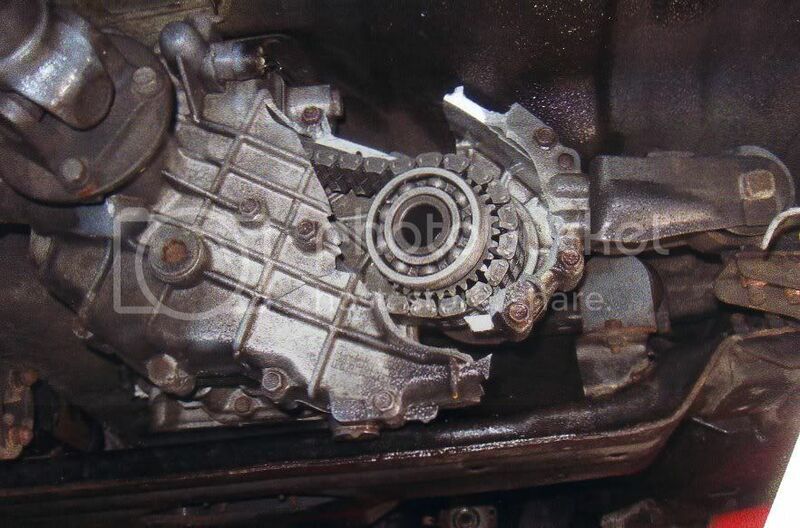 I was told by the mechanic that when the car was put into four wheel drive something jammed it which caused the transfer case to explode. (we only made it a couple of miles before it exploded) You mentioned something about the hubs being replaced. The two front wheel hubs were replaced (XDL OKO1A3320xB), along with the front left axel and shaft, wheel bearings. If you have any further information which might be helpful, that would be great. Thanks so much for your time. 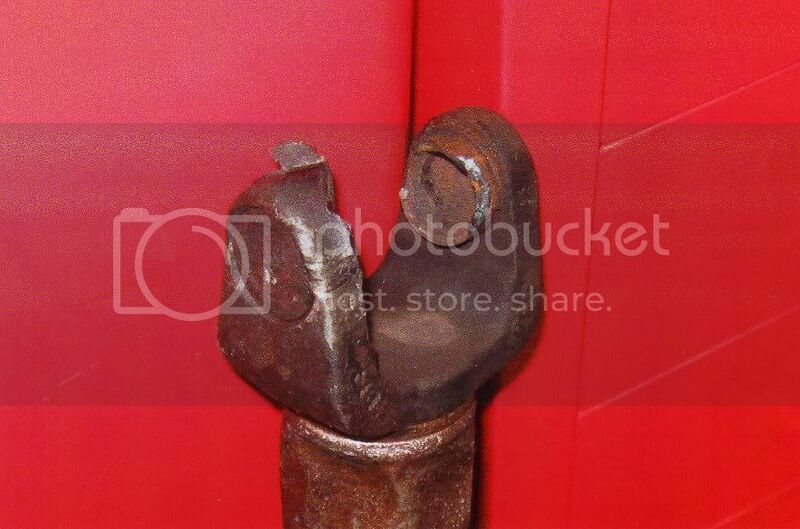 ..is it possible the front driving shaft (between t-case and differential) got loose ? Can you take photos of the underneath? At this moment, can you move the vehicle ? What is the condition of the t-case? is it visibly cracked ? Sportage 2005..small orange light just above the headlight and to the right is burned out. YOu have to take the headlight cluster out to change that bulb. Check this out that I picked up from KIa website. You can register at www.kiatechinfo.com and browse through and download almost anything about your car. Thank you very much for the assist. It is appreciated. 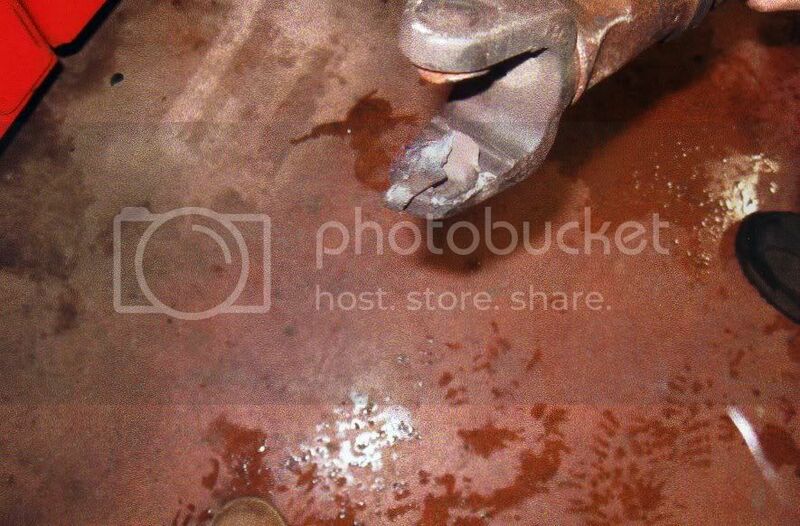 ..so, it was indeed possible the front driving shaft (between t-case and differential) got loose ! If you set up your CarSpace page, you can post the photos in an Album there. Then we can all look at them. Click on the My CarSpace tab up top to get started. It's all free btw. ....where was the driving shaft after the car stopped ? ANd in how many pieces? It shows as assembled in this picture,..
".....it looks like the driveshaft got pushed back into the t-case"
Thanks so much for your input. So how should I handle this when I go to the car shop. What approach should I take. The car was used in 4WD in December before I took it into the shop in January and I did not have any problems with the 4WD. I took the car into the shop because of the noises it was making in the front wheel which resulted in all the work that was done. My belief is that since this was the first time the 4WD was used since picking up the car, it has to be related. Also, my Kia only has 105,000.00 kms. on it. Its my baby - any advise on how to approach the mechanics who worked on my car would be gratefully appreciated. I think you guys are awesome!!! My view.comes from too far away , but some independant knowledgeable person would confirm the facts ..: some negligence is involved in the condition of the driving shaft after the $1700 repair. 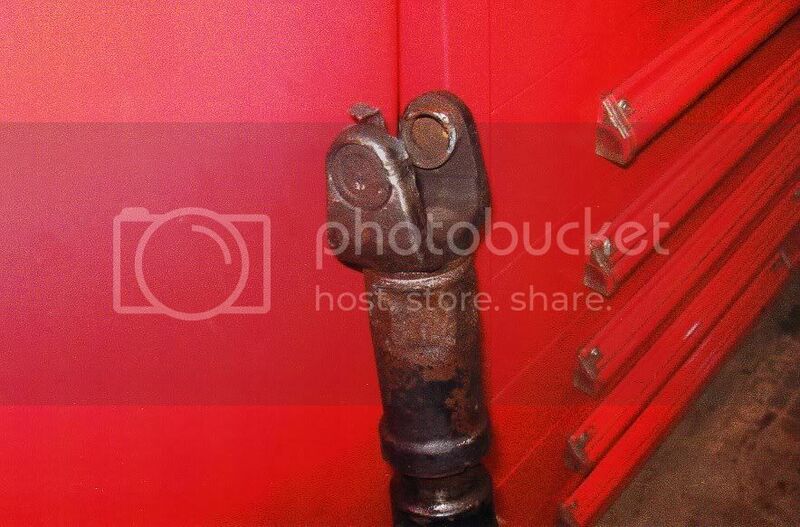 THe shaft just cannot just have snapped from the T-case end AND cause that damage: if it had snapped like that, it would have fallen to the ground, trailing, would have been out of the way and then unable to cause that damage. It did separate from the other end. 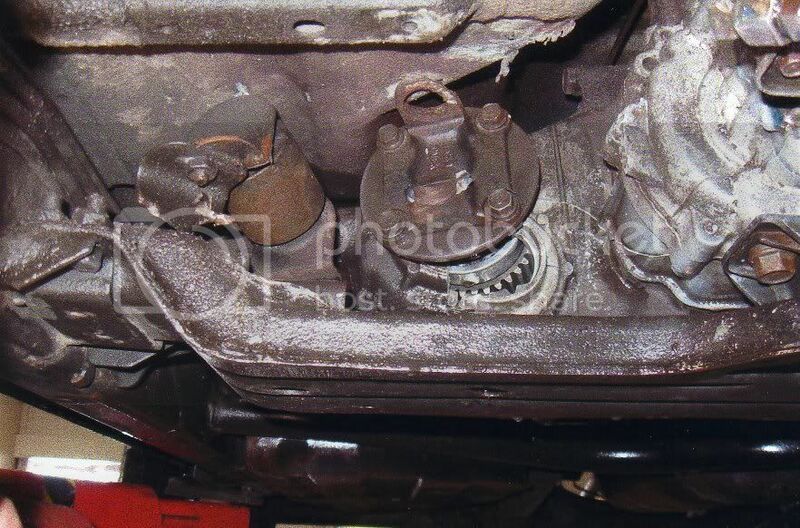 Can you take a picture of the OTHER end of the driving shaft and the differential flange that normally connects to the driving shaft ?